Published 10/16/2011 . Last updated 1/8/2019 . Halloween doesn’t have a drink. On Christmas, we know that we should be drinking eggnog and on New Year’s Eve, we’ve got to toast using champagne. But, on Halloween, our party drink is left to chance. Many Halloween parties resort to punch with varying levels of quality and varying levels of alcohol. These punches are frightening because you never know what is going to be in them (I always expect the worst) – and who really wants to drink something with eyeballs floating in it? Pumpkin, I discovered, goes so well in frozen mudslides that I may make frozen mudslides this way from now on – Halloween or not. Take your frozen mudslide up a notch by adding pumpkin and warm spices. 2 ounces Kahlua 1/4 cup; Try using homemade Kahlua made with your favorite coffee beans. 2 ounces Baileys Irish Cream 1/4 cup; You can use store-bought Baileys, but it's so easy to make homemade Baileys! Blend all ingredients except the whipped cream and chocolate syrup. Drizzle chocolate syrup along the inside edges of the glasses you'll be serving the drinks in. Pour the frozen pumpkin mudslides into the glasses. Top with whipped cream and more chocolate syrup. Pumpkin mudslide cupcakes are coming soon! Thanks to everyone in the Cupcake Project Facebook community for helping me choose the photo for this post. If you are curious about the one that didn’t win, check it out on Facebook. I’m about to make this right now! :-) In the mood for a sweet treat! Erica – Wow! You aren’t wasting any time. :) Enjoy. Thanks!!! I was looking for a good drink for my halloween party … I love pumpkin (and alcohol) so its a perfect mix!!!! Any other suggestions??? Oh wow, I love pumpkin…the question is, can I afford three bottles of booze before Halloween? I sure hope so. An “official” Halloween drink is a great idea! Sounds like a pumpkin spice latte, with an extra [decadent] kick. I just popped in to say Happy Chocolate Cupcake Day! 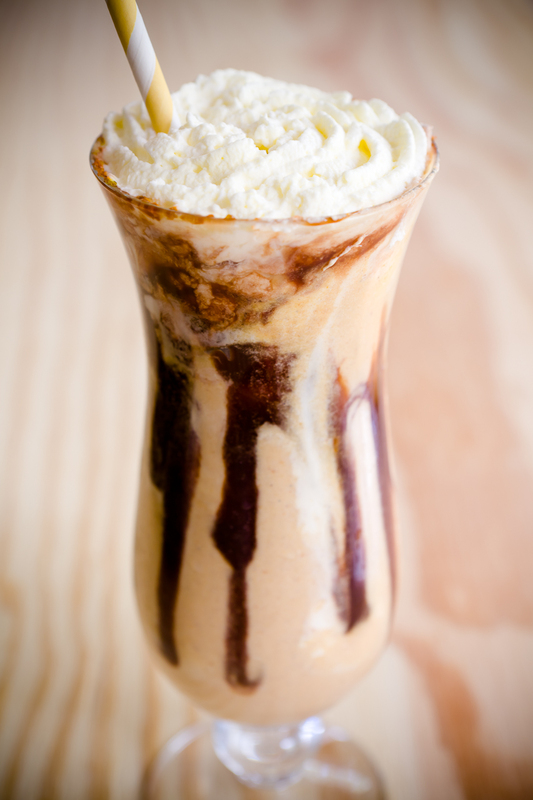 And lo and behold , you’re serving up an irresistible Pumpkin Mudslide. Thank you! Let’s make this our official Halloween drink! We really need something to cool us down with all spooky, cartoony, anime’, and what have you-costumes running around the streets…Thanks for taking care of the refreshments! Ohmygoodness! These look soo tasty! SNAP, why didn’t I see this around halloween time!!!! However, I don’t follow rules. So I think I shall make this for Christmas, yes, yes I will! avoid footprints. Are you feeling wanting to experience it completely free? Done well. I am astounded with the standard of the data offered. I sincerely hope that you keep up with the fantastic job accomplished. This is wonderful and looking so yummy! It is nice information. thanks for sharing your personal info. It is key to make such a awesome dish. You are also shared a good recipe thanks, keep sharing. Thanks for great sharing Keep sharing. I like your post. Thanks for great sharing Keep sharing.Keep it up.Frozen Pumpkin yumm It make a few min ready wao! amazing. waooo amazing product shared here. i like it.